Back in January, I posted about the Cembre connectors Metro has been using for the past few years. So, we agree that “faulty installation” is a factor but I would suggest that a large portion of the blame for that rests with management. Over the years my coworkers and I repeatedly asked for torque wrenches so that we could properly tighten rail clamp bolts and other hardware. Our requests were ignored — for _decades_. I imagine things haven’t changed, and techs are still expected to ‘guesstimate’ when torquing hardware. In addition, we did not receive, nor am I aware of, any official training on the proper installation of rail clamps. Any training was ‘OJT’ (on the job training) — often left up to technicians (not supervisors or instructors) which meant it was hit-and-miss. I wrote about the lack of training here. 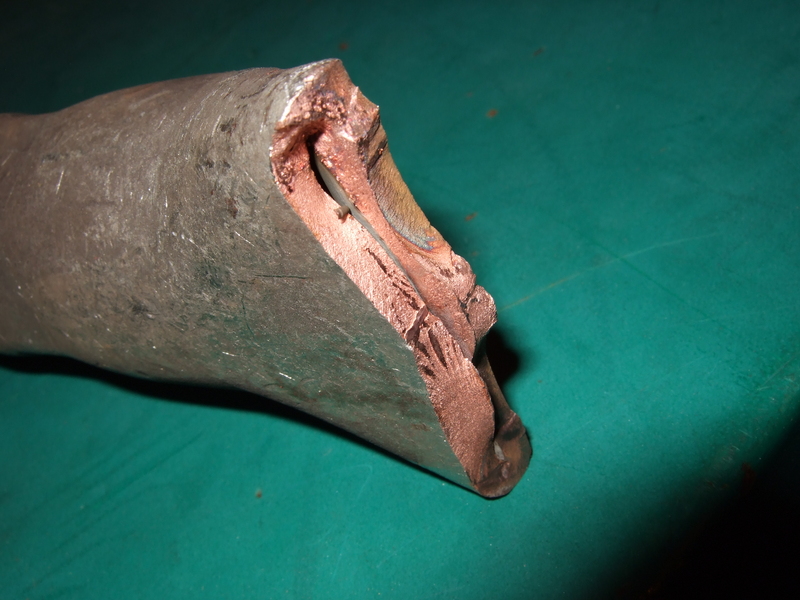 This may be due to the copper being brittle and prone to stress cracks, it may be due to the cable being installed with tension on it (or both) but they appear to be more likely to fail than the rail clamps. The statement, “…the rail clamp also has a small surface area” is disingenuous. The rail clamp ‘basket’ (the part that makes contact with the rail) clearly has a much larger surface area than the two small flat washer sized areas on the Cembre connector. See the photos in my initial post. It’s not even close. 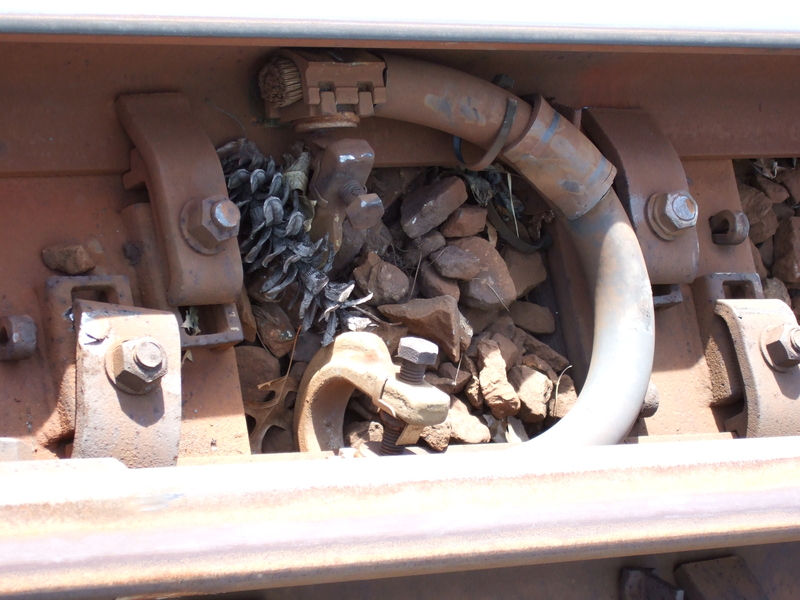 What that means is that when carrying high amperage, the Cembre connectors are more likely to become burnt and pitted — and fail, causing train delays and unnecessarily risking ATC techs’ lives (because anytime employees go wayside they risk injury or death) when they could be performing other duties. For the safety of my former coworkers and the convenience of the passengers, I hope ATC management will do the right thing and admit that using the Cembre connectors – however well-intentioned – was and is a bad mistake. ATC should go back to using the rail clamps (or something better). This entry was posted in Management Follies and tagged Reliability, Waste of money. Bookmark the permalink. Isn’t the surface area of the rail clamp irrelevant? 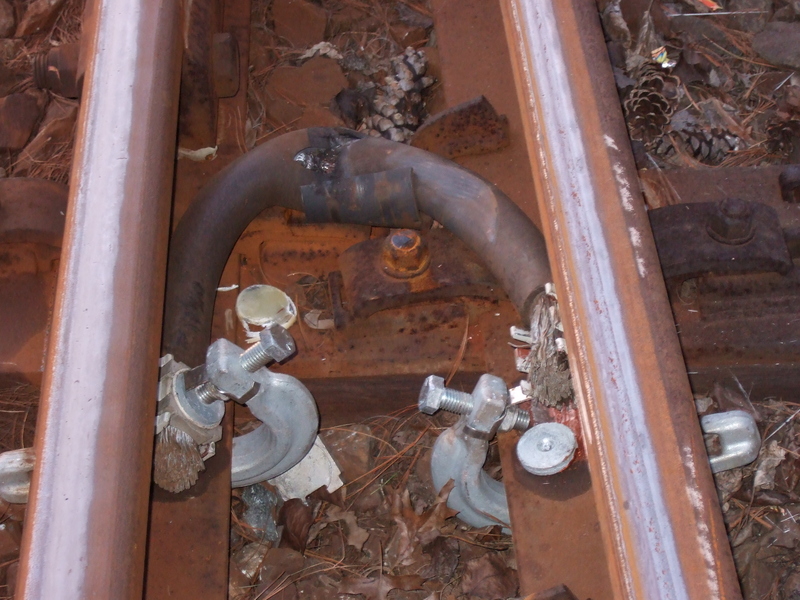 The 1000 MCM cable appears (explain if this is incorrect) to be clamped directly to the rail so the current would flow from the cable into the rail without passing thru the clamp (unless there is poor contact between the cable & rail – was the cable & rail cleaned (i.e., rust removed) before clamping?). Absolutely not. It may not be clear from the photos I posted but all current does have to flow through a portion of the clamp/connector in either case. This is a ‘weakest link’ situation. The rail and the 1000 MCM cable are generally capable of carrying traction power return current without any problem — it is the contact area of the connector between the two that is often an issue. The fact is that while both the Cembre and the rail clamp are prone to failure due to faulty installation practices, the rail clamp “basket” has significantly more surface area than the two small ‘flat washer’ size/shape contact surfaces of the Cembre connector. The basket is the piece of the rail clamp that lies between the cable and the rail. It is designed so that the inside has the same contour as the cable, and the outside fits the the curvature between the web and the base of the running rail. 1) It does not require much in the way of tools to install. 2) The existing MCM cable can usually be reused. 3) A clamp can be installed almost anywhere. 4) Installing a clamp is generally safer than installing a Cembre connector. 5) Clamps can often be reused, in the same location or somewhere else. The Cembre connector requires a special drill, drill bits, cutting oil, and hardware to install. A new piece of MCM cable must be cut to a very precise length every time a lug breaks (as shown in my photos) so that the holes in the lug can be aligned with the holes in the rail. The gas powered drill is heavy, bulky, and limits where a connector can be installed. Any power tool is less reliable and generally more dangerous than a hand tool. The end of the cable must have a lug crimped onto it (as opposed to just being stripped). The lug can be removed from the rail and replaced, but must be replaced in the exact same location, because it requires two holes in the web of the rail for installation. A rail clamp generally requires no more than a wrench and a battery powered grinder (to clean the rail), along with some ‘Kopr-Shield’ or equivalent to prevent corrosion and enhance conductivity. The cable can be usually be reused. If a new cable is required, the length needs to be close but can usually be off by an inch or two. While the rail clamp works well, in situations where the connection is essentially permanent there are better solutions — lugs that are riveted to the rail for example. Good point Martin. It is true that employees in ATC (and other departments) are given an annual tool allowance. However, as you know, any piece of equipment that needs periodic calibration is almost always purchased by WMATA. In Car Maintenance (CMNT) for example, the torque wrenches are purchased and calibrated by Metro. In addition, one thing that was drilled into our heads (directly or indirectly) from day one was to only do what we were told. To follow the ‘chain of command’. There were several times over the years when techs suggested to management that we should be using torque wrenches on rail clamps and other hardware but nothing ever came of it. Apparently it was deemed unimportant by management. All we could do was submit ideas. It is management’s responsibility to develop and approve PMIs and procedures. We were told numerous times over the years that we must follow SOPs. Any employee caught deviating from established written procedures — even with the best of intentions — could be disciplined and/or held responsible for any subsequent problems or failures. Employees quickly learn to ‘keep their heads down’ and just do what they’re told. For the above reasons it would not have made sense to purchase, let alone use, an unapproved/uncalibrated torque wrench on WMATA equipment. As for me having “no credibility at all” well, I’ll let others come to their own conclusion. FWIW, my entries here on this blog are, for the most part, not directed at any one individual — among other goals, they are intended to expose the culture of Metro and the problems it creates. In my experience, most of the people at Metro (both management and union employees) were/are intelligent, conscientious people who are trying to do the best they can under the circumstances. That applies to ATC, CMNT, Operations, etc — most of the people I met over the course of 27 years. What I’m still trying to figure out is — how an organization like Metro becomes dysfunctional when, in my admittedly limited experience, most of the employees are good people. I’m glad to hear that there have been some improvements to the rail clamps — that is all the more reason to use them instead of the Cembre connectors. The only drawback I can think of is that since the bolt heads now shear off, the clamps can be used only once. They are expensive (about $200 each, last I heard) so it’s a shame to have to throw them away when the older design could often be re-used. Also, since the bolt head shears off when the clamp is installed, how is the clamp removed? Sledgehammer/BFH? They are putting in new track circuits this weekend on the red line (A11) and I think they are using cembre connection….I would assume they will be installed properly since contractors are doing the work…. Excellent video Allyn, thanks for posting it! I don’t suppose you had anything to do with it did you? WRT the new clamp — I like that the lock/jam nut has been relocated to the top where it is easily accessed. No more need for a ‘bent wrench’ (which always seemed to disappear), any ordinary 15/16″ open end wrench will work. That’s a big improvement. It’s good that the clamps are re-useable and designing the bolts so that the head shears off at the appropriate torque is a good idea. However, I have to wonder why other than relocating the lock/jam nut the clamps could not have remained the same and been installed using a torque wrench? My guess would be that these new clamps cost Metro more due to the bolt head that’s designed to shear off and the fact that the pressure plate is now removable. In addition, in order to reuse a clamp, the specialized bolt must of course be replaced. Since it’s Metro, the bolt itself probably costs $50. Also, while the pressure plate is designed to be removable (and obviously must be removed in order for the bolt to be replaced) it looks to me like the little Allen head machine screw is all but guaranteed to rust and seize in place — especially since the insulator will hold moisture against it. In cases where it can be removed, anything small like that is easily lost — particularly when working on tie and ballast. As a practical matter, many of these new clamps will not be able to be reused. I’m not trying to be negative or step on any toes — these new rail clamps are better than the Cembre connectors — it just seems to me that the shearing feature (which necessitates the bolt being replaced, which requires that the pressure plate be removed) is an expensive solution to a “problem” that did not exist — or more accurately, does not have to exist. I realize that no one is asking for my advice, but I would suggest issuing a torque wrench to each ATC tech. They should have one anyway for other hardware they must secure. For the price of one new style clamp Metro could probably purchase 3 to 5 decent torque wrenches. They have numerous uses and really should be used whenever critical hardware is being installed/tightened. In addition, they would save Metro (read: passengers and taxpayers) a lot of money in the long run. I know that CMNT at Shady Grove (A99) had a few torque wrenches that were supplied by Metro and they also had a device mounted to one of the vertical I-beams to calibrate the wrenches. If I’m not mistaken, most of those same wrenches were in use the entire time I was at (A99) — off and on from 1984/85 thru 2010. Seems like a good investment to me. PS: In defense of my former coworkers, I would not assume that the contractors will do a better job installing the Cembre connectors. There are many very intelligent, skilled technicians in ATC in general and on the Red Line in particular. Many/most of the problems with Cembre connectors appear to be due to their design and manufacture. To the extent that there have been problems with them due to faulty installation I would suggest that there’s a very good chance that the tech(s) doing the work did not have proper training, which obviously is not their fault. If contractors do a better job in some cases (and I don’t know that they do) it would only be because that is usually _all_ they do. They naturally become proficient at a specific task if they perform it week after week, month after month. An ATC tech is by definition a ‘Jack of all Trades’. Given proper training, I would put my former coworkers up against contractors any day. Thanks for clarifying Allyn, I’m glad I misinterpreted what you wrote about the contractors. Whoever made the rail clamp video you posted (above) did a very good job.